In this very special two part episode, Ruthie and Chris are joined by their favorite fine feathered friend from down south, Wendell Jones of the Sideshow Sound Theatre podcast network. 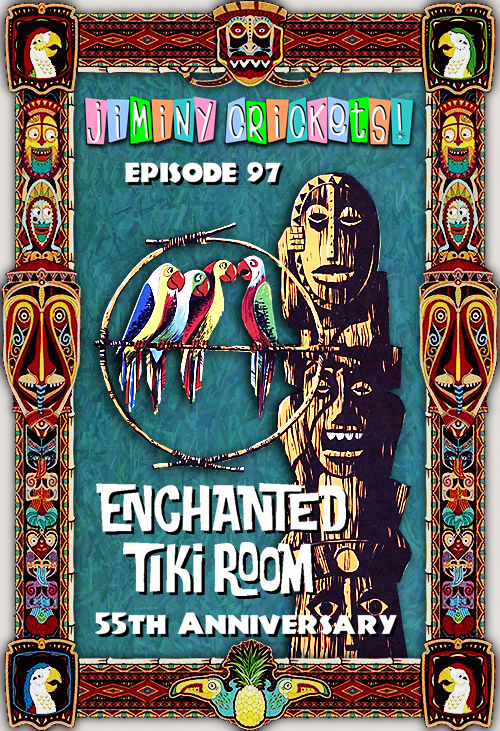 Together these three bird brains discuss the history of Walt Disney's groundbreaking audio-animatonic attraction, The Enchanted Tiki Room, now celebrating it's 55th anniversary. They will take you through the entire show, discussing the vocal cast, the amazing musical score, the show's developers creative artists and technicians, and the very inspiration behind this tropical hideaway filled with joyous song and wondrous miracles. Stay tuned for part two coming later this week!